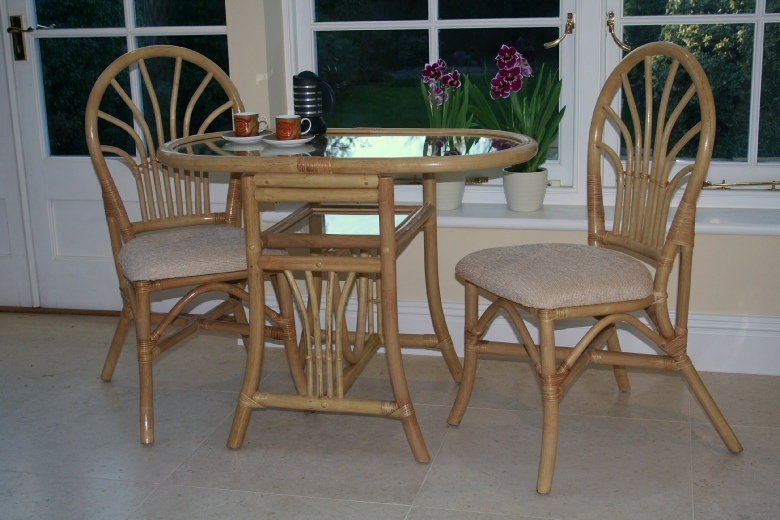 Our Breakfast Set and Dining Sets are beautifully created to compliment any Conservatory range in our Exclusive Range. Available in either Natural Wash or Walnut Wash, with a choice of complimenting fabrics to choose from. Breakfast Set shown in Natural Wash finish.